Forex.com Reviews 2019 - Are they the Best or Worst US Broker? Overview: Gain Capital Holdings’ Forex.com is regulated by the FCA in the UK and the respective regulatory agencies in the US (NFA) , Japan, Hong Kong, Singapore, Cayman Islands, Australia and Canada. It is popular with beginners and advanced traders alike, with a proprietary platform FOREXTrader Pro that offers plenty of charting capabilities and intuitive trading. Accounts: Standard account with a minimum $50 deposit and high-volume Active Trader accounts are available. Within these account types, individual account, joint account and corporate accounts are available. Traders enjoy the security of having their funds protected in segregated accounts in top tier global banks. The brokers offer spreads of 1.9 pips to 0.84 pips depending on the type of account. With an Active Trader status, it is possible to trade the EUR/USD pair as low as 0.4. Demo accounts allow traders to test out strategies not only on the MT4 platform but also on the broker’s proprietary FOREXTrader PRO platform. 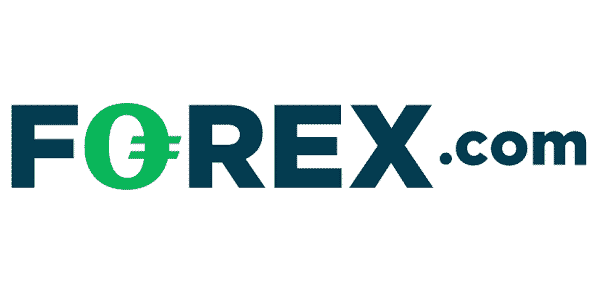 Features: Forex.com offers over 50 currency pairs for trading, which members can trade either through the FOREXTrader Pro platform, MetaTrader 4 or Gain Capital’s GTX ECN platform. This ECN platform is for institutional traders. ForexTrader is a platform with mobile and desktop solutions, tight variable spreads, price improvement feature, 5 digit pricing, the option to choose instant or market execution, custom watchlists, price alerts, open API, a host of analysis tools. Education: Forex.com offers plenty of resources for learning and research, both for beginners and advanced traders. Trader courses and quizzes are available for learning, while there are plenty of tools for technical analysis. Deposits/Withdrawals: Deposits and withdrawals are possible via wire transfer, debit and credit cards, with minimum transactions of $30. Customer Service: Support is available 24/7 via telephone, email and live chat. What is Forex.com trading volume ? The Average monthly trading volume is approximately 485 billion ($) which one of the highest among retail Forex brokers. Forex.com vs Oanda – Which one is the winner? Oanda and Forex.com have alot in common. Both brokers are regulated by the CFTC allowing them to offer forex accounts to US clients. Both brokers are truly “global” being regulated around the world. Between the two brokers, Forex.com stands slightly above the other. Offering more in features and performance. Is Forex.com an ECN Broker ? Forex.com is not an ECN broker. Their broker type is a non dealing desk market maker. Can I trust Forex.com ? Forex.com is one of the most trustworthy retail Forex brokers. Being a truly global broker and regulated in many countries, shows that they have the capital requirements and are serious about doing business while following all the rules. Forex.com is regulated in some of the most strict regulatory bodies in Forex, The united States and Japan being some of the toughest. User reviews: Check out more Forex.com Reviews below.